The Influential teams have reached an important milestone this week with the launch of our first original product: Atlas Publishing Intelligence – a low-cost, enterprise-grade data management and business intelligence solution. What is Atlas Publishing Intelligence? Atlas Publishing Intelligence (PI) is a modular platform designed for publishers to analyse business performance across both digital and print media, without the cost of a traditional reporting solution. 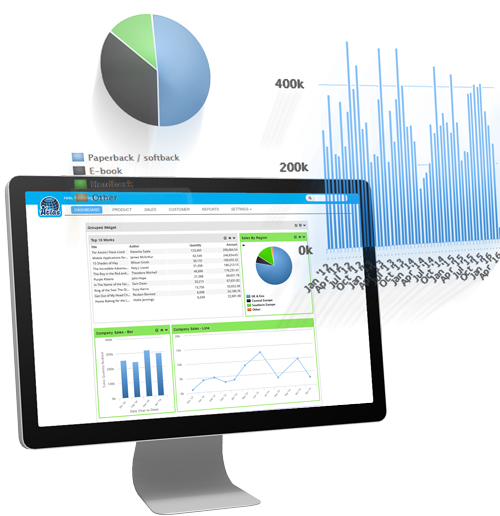 Users have a complete summary of business performance at a glance; via customisable dashboards, reports, enquiry tools and a library of widgets that dynamically link to your business data. Atlas modules handle data ingestion and transformation, user authorisation and Big Data storage. The results are accurate and fast and modelled according to the needs of Publishers. Atlas PI’s first release went live on 03-05-2016, handling data and providing real solutions for one of our leading publishing clients. This is a significant milestone, but not the finish line for Atlas. There is a host of further development and features planned for the platform and a great wealth of information about the product still to come. The Atlas PI vision and roadmap has yet to be communicated, so watch this space for the full product announcement soon and other updates from Influential throughout 2016. Is Atlas PI Available for all Publishers? Atlas PI is available and ready for publishers now, either as a full platform or as individual modules to integrate with other applications and systems. The platform is subscription-based and designed so customers can implement quickly, with set up and configuration provided by Influential’s team of experienced publishing sector consultants. Other publishers are also trialling the software in Q2 2016 with plans for Q3 and Q4 implementations.